For IT News Week 2 Jan 2018. MediaMath, the leading independent programmatic company for marketers, today announced that it has provided programmatic training for over 4,000 marketers in Asia Pacific (APAC). Working through its education arm, the New Marketing Institute (NMI), MediaMath conducts a combination of monthly courses open to the public and customised classes designed specifically for APAC clients. To date, more than 190 APAC-unique sessions and certification programs have been conducted since NMI’s APAC launch in April 2016. In line with the growth of the ever-evolving digital marketing industry, the Singapore government recently announced the need for professional upskilling in developing areas such as programmatic. This comes at a time where marketing professionals across APAC are showing a keen interest in adopting programmatic practices into their digital marketing mix. With regional concerns around the complexities of programmatic technology and the need for upskilling in such areas2, MediaMath aims to bridge the knowledge gap and help marketers in the region execute more efficient and successful marketing campaigns. Working closely with its partners, MediaMath recently organised a Programmatic 101 training for Dentsu Aegis Network. Together with Dentsu Aegis Network’s programmatic agency, Amnet, MediaMath trained over 220 attendees that participated in-person or remotely from Hong Kong and Southeast Asia. 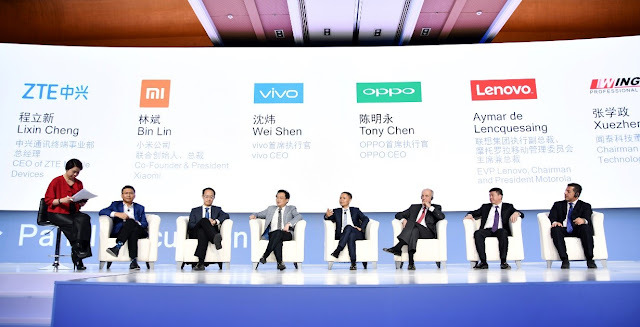 On 25th of January, at the 2018 Qualcomm Technology Day in China, OPPO, one of the most popular international smartphone brands, announced partnership with Qualcomm Technologies in the “5G Pioneer Initiative” to explore ways toward mobile technology innovations in the 5G era. Through the “5G Pioneer Initiative”, Qualcomm Technologies will support OPPO to create brand new 5G mobile phone experiences for users around the world by providing comprehensive solutions such as the radiofrequency front-end field. OPPO has been adhering to the core needs of users to innovate, and continuously prepare for 5G products and other advanced technologies. On January 16, 2018, IMT-2020 (5G) Promotion Group, the key promotion organization established by three official ministries in China, released the 5G technology R&D trial phase 3 specifications in Beijing. OPPO has participated as the only smartphone manufacturer and made contributions to the 5G standard formulation. 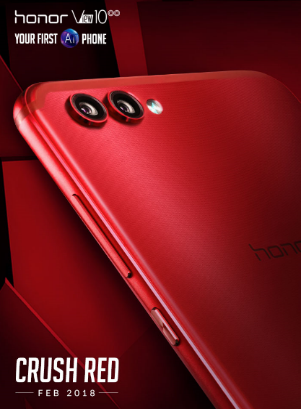 After the introduction of its first AI powered smartphone, the honor View10, honor Malaysia is set to introduce the Crush Red colour variant which will sit alongside the original Blue and Black option that was introduced in December last year. 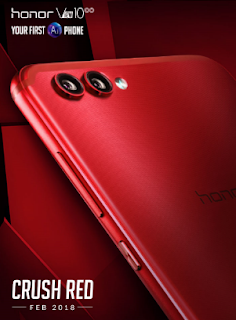 Malaysia will be the first global market to receive the Crush Red honor View10. The honor View10 features state-of-the-art artificial intelligence (AI), making it a phone that is able to think, learn and react. It features optimised performance with the powerful Kirin 970 chipset with 6GB + 128GB memory and EMUI 8.0, unleashing exceptional processing power that is perfect for multi-tasking and gaming. AccuWeather, the fastest growing provider of forecasts and warnings and a global leader in digital media and weather-related big data, today announced it will provide VuLiv, a mobile-based player app, with detailed weather information for all global locations. AccuWeather will provide weather data, which will power the VuLiv player app on multiple Android smartphone devices. The app will be available to download at the Google Play Store and iTunes. 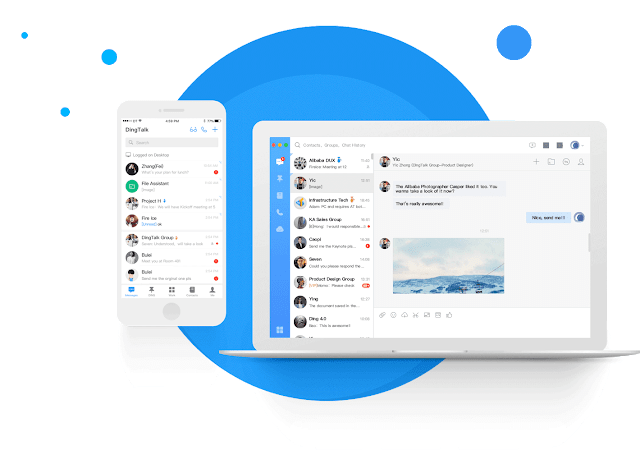 VuLiv aims to be "one home for entertainment," infusing both on-device and online entertainment content such as music, videos, movies, and weather updates, all on a single platform for the user to consume and avoiding the need to download multiple apps. LinkedIn, the world’s largest professional network, today revealed the most popular words found on Malaysians’ LinkedIn profiles. This is the seventh consecutive year that Linkedin has been sharing buzzwords to help members improve their profiles. Malaysians used the word ‘Experienced’ the most in 2017, followed by ‘Skilled’. In 2016, “Experience” was ranked the 4th most used word, with ‘Skilled’ ranked outside the top 10. This suggests that job seekers are emphasizing work experience and skills over personal strengths to make themselves more relevant to employers. 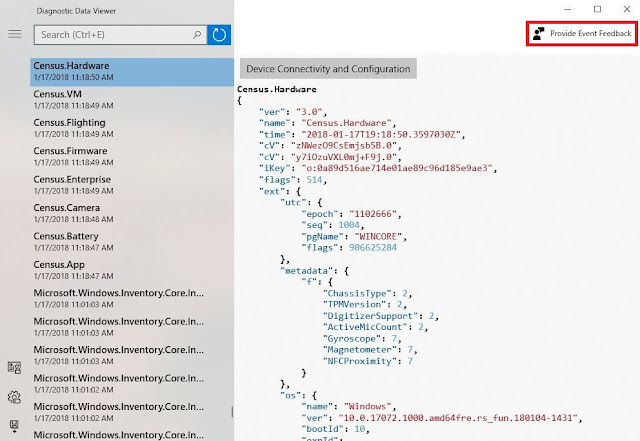 To kick off the new year ahead of Data Privacy Day we are giving our Windows Insiders an early preview of the Windows Diagnostic Data Viewer coming in our next release of Windows. 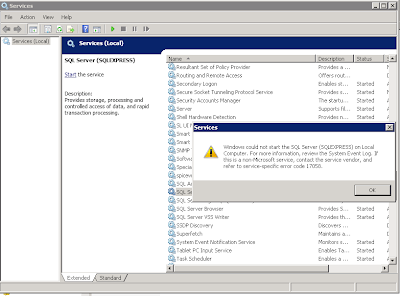 The Windows Diagnostic Data Viewer provides even greater transparency to all the diagnostic data received from your Windows device. 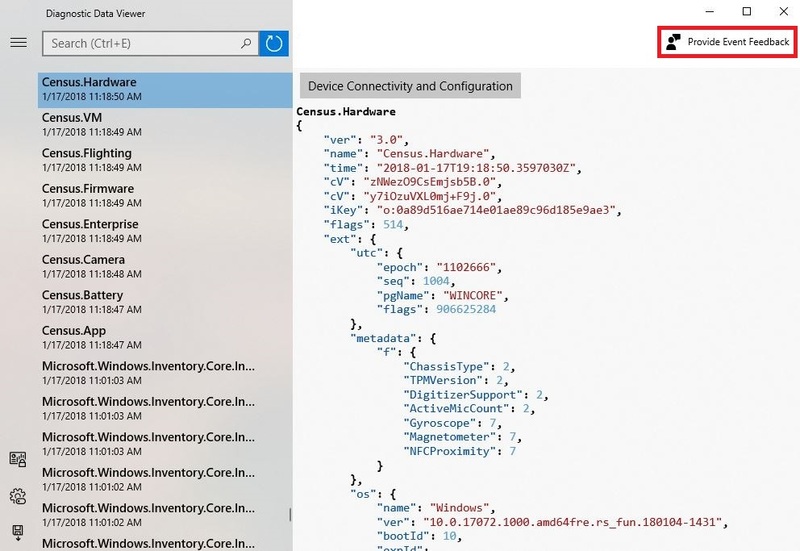 Available to everyone in the Microsoft Store, the Diagnostic Data Viewer is separate from the Microsoft Privacy Dashboard and allows you to see, search, and take action with your diagnostic data. Product and Service Usage data includes details about the uage of the device, operating system, appliatons and services. honor, a leading smartphone e-brand, today announced that honor View10 won a series of awards at CES 2018. Its superior design, innovation and value was widely recognised by industry experts and consumers. Digital Realty (NYSE: DLR), a leading global provider of data center, colocation and interconnection solutions, announced today the addition of significant new connectivity services to its Singapore facilities from Colt Technology Services (Colt), a world-class, global high-bandwidth network and voice services provider. With connections to most of the submarine cables landing in Singapore, Colt provides reliable and high-quality networks for Digital Realty’s data centers in East and West Singapore. Colt’s wide range of connectivity services, including Colt Wave, Colt Ethernet Line, Ethernet Hub and Spoke, Ethernet VPN and AWS Direct Connect are now live and accessible to customers in Digital Realty’s Loyang (East) and Jurong (West) Data Centers in Singapore. Today, French industrial gas company, Air Liquide, launched its Smart Innovative Operations (SIO) Center in Malaysia, for the Southeast Asia Pacific region – marking yet another milestone for Malaysia as it continues to attract foreign investment and promote industrial development. 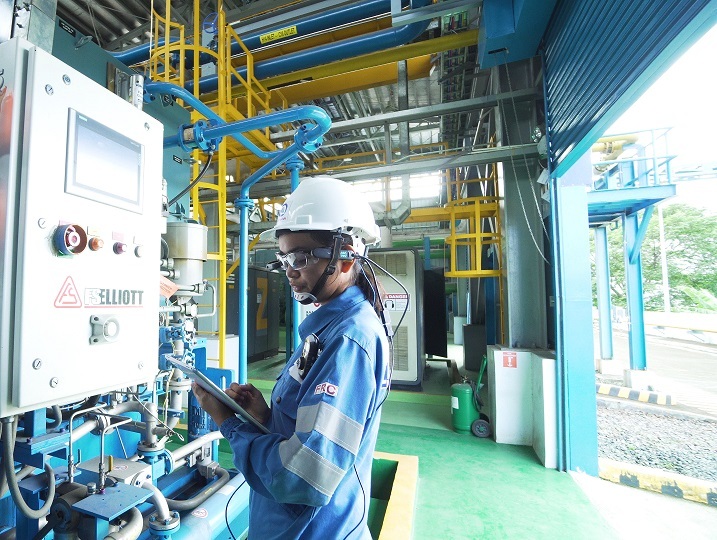 Leveraging Big Data and digital technologies like predictive analytics, the SIO Center integrates, optimizes and remotely controls the operations of 18 Air Liquide Large Industries production units spanning eight countries across the region. These capabilities allow Air Liquide to better predict and accommodate changing customer needs across the region, especially regarding the supply of oxygen, nitrogen, argon and hydrogen. Commvault (NASDAQ:CVLT), the global leader in enterprise backup, recovery, archive and the cloud, today announced that its Commvault Data Platform has been selected by Hewlett Packard Enterprise (HPE) to power its new HPE GreenLake Backup solution. Available today and managed through HPE’s outcome-based flexible IT consumption service, Commvault Software which is pre-integrated on HPE servers, storage and networking technology will provide customers with enterprise-class data protection and reliability covering the entire lifecycle of a backup environment. Through its support of HPE GreenLake Backup, Commvault is simplifying the backup experience for customers by providing the required hardware, software, and services to meet evolving data protection & compliance challenges, tightening resource requirements, and ever-expanding data growth. HPE GreenLake Backup is an on-premises deployment but priced like a cloud offering. 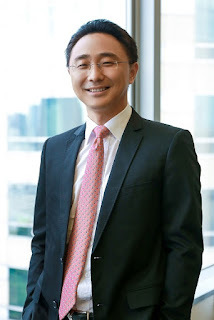 Huawei, a leading global information and communications technology (ICT) solutions provider, has appointed Baker Zhou as the new Chief Executive Officer for Malaysia. With over 18 years of experience in ICT industry, Zhou will oversee the strategic growth, operations and overall development of Huawei Technologies in Malaysia. “I will lead the team to continue creating value for customers, while forming and building stronger relations with our local partners" said Baker Zhou outlining his vision for the future of Huawei Malaysia. "As a global enabler of ICT innovation, we look forward to driving sustainable growth and development in the country. I look forward to working with the Malaysian Government and local partners to build a better connected Malaysia." Baker Zhou joined Huawei in 1999 as an account manager. Prior to his current role, Zhou has held several senior positions within the company, including Vice President of Huawei Indonesia, CEO of the Huawei Bangladesh, Vice President of Southeast Asia Carrier Business Group and Human Resource Director of Southeast Asia Region. Graduating in 1997, Zhou is an alumnus of Zhejiang University of Technology where he attained his bachelor degree in Industrial Automation Technology. 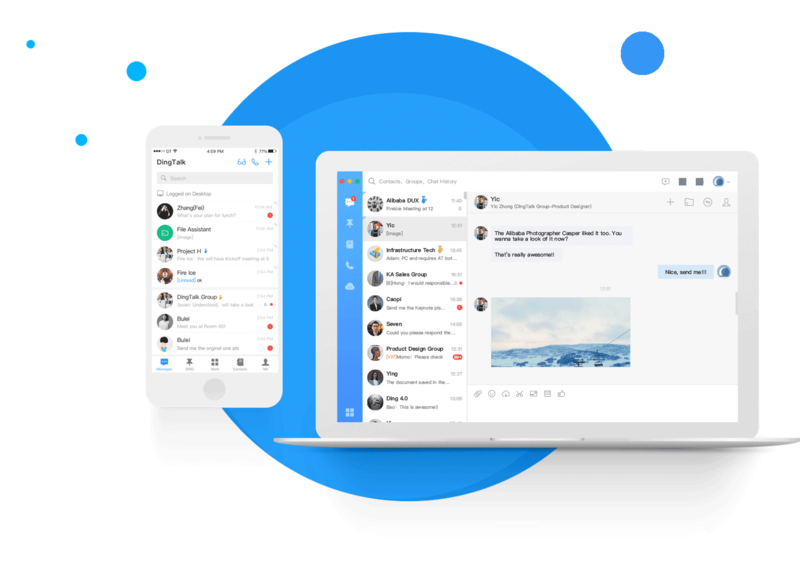 DingTalk, Alibaba Group’s (NYSE: BABA) proprietary enterprise communication and collaboration platform, today announced the launch of DingTalk in English to enhance communications and redefine collaborations for businesses and small and medium-sized enterprises. Over 5 million enterprises and organizations in China are already using the Chinese version. Barracuda Networks, Inc. (NYSE: CUDA), a leading provider of cloud-enabled security and data protection solutions, today announced it has acquired PhishLine, LLC, a leading SaaS platform for social engineering simulation and training. Combining Barracuda’s AI-driven protection against phishing and spear phishing with PhishLine’s platform gives customers comprehensive defense against email-borne targeted attacks and social engineering. Tableau is launching Hyper, the new data engine technology included within Tableau 10.5. The world is creating more data than ever before and existing technologies are breaking under the weight of all that data. A great example of this is the amount of data being created by sensors and IoT and the need to analyse that data before it becomes obsolete. With data volumes increasing, the amount of time needed to process that data has increased. Take for example Singapore’s Smart Nation Sensor Platform. The sensor on all 110,000 lamp posts in the city create large amounts of data every second. These data can then be used for city planning, or drawing out routes for public transport with a video analytics platform. However, analysing that data for insights needs to be done when the data is fresh. The exciting launch of Hyper means that companies can now slice and dice massive volumes of data in seconds, and see up to 5X faster query speed and up to 3X faster extract creation speed! This will allow faster insights for even larger data sets, giving organisations the ability to scale their analysis to more people.